Tuesday November 16 2010 I successfully defended my PhD dissertation “Moving Circles: mobile media and playful identities”. I am now dr. Michiel de Lange :). 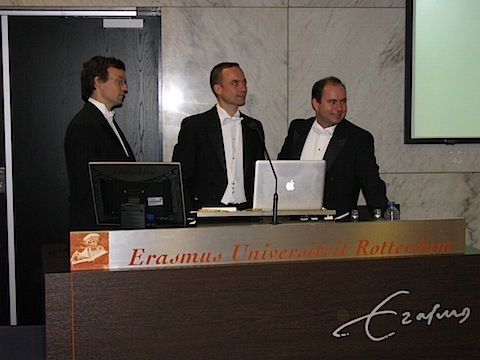 A big thanks to my paranymphs: Daan de Lange (left) and Martijn de Waal (right). 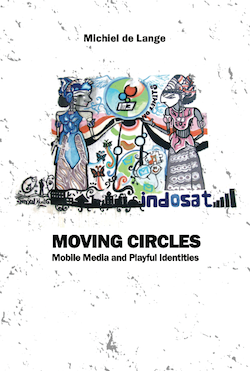 You can download “Moving Circles” here (pdf, 3.6 MB). This work is licensed under a Creative Commons Attribution-NonCommercial 3.0 Netherlands License [note: this is a different license from the general content of this blog]. My presentation Wireless Stories Conference, Sandberg@Mediafonds, February 17 2011.